Early this year, Facebook updated their branded content rules that limit the way a Facebook page owner can post content in exchange for money. This paid-promotion strategy was pivotal to the growth of companies like Render Media, Little Things and Diply. As a result of the change, Render Media and Little Things completely shut down, sending ripples through the industry. Now 3rd party advertisers like agencies, brands and publishers are scrambling for new avenues to promote products and content. We believe the reaction to this change is completely overblown with artificial media hype. Here’s why. 1. If you put all your eggs in one basket, you will lose. Many publishers, most notoriously Render Media and Little things, built massive businesses promoting their content by paying Facebook page influencers. The strategy was successful because the cost of acquisition was sometimes as low as a penny, cheaper than Facebook’s floor. When the change occurred, Little Things, a business with over 50 employees, lost 75% of it’s traffic overnight. The lesson here is that many media companies put all their eggs in one basket: Facebook influencer traffic. Their strategy worked until it didn’t, and now many are reassessing where to go next. Don’t let the doom and gloom hype of big name demises freak you out. 2. Facebook isn’t the only sheriff in town. This new update reminds us of the one Facebook did in August of 2016, when they changed their algorithm to bury promoted viral content for more organic, newsworthy content. Many publishers – whom we happen to deal with on a daily basis – were quick to abandon Facebook and find new avenues of content promotion. Content discovery platforms like Taboola and Outbrain benefitted tremendously after the change, providing new opportunities for 3rd party advertisers to promote content and products. 3. It’s the internet, don’t lose faith and never doubt it. The internet is so dynamic and fluid that when one opportunity closes, another will arise. As long as there are eyeballs, there will be opportunity. Entrepreneurs are innovative and marketers will find (or create) new ways to market products and content. As many advertisers, brands, agencies and publishers “scramble” for new avenues to promote to garner visits and sales, opportunities will emerge. 4. Facbeook influencer traffic is still a valid avenue! It may have gotten lost in all the hype, but I can’t scream this loudly enough: you can still pay Facebook page owners for sharing content. 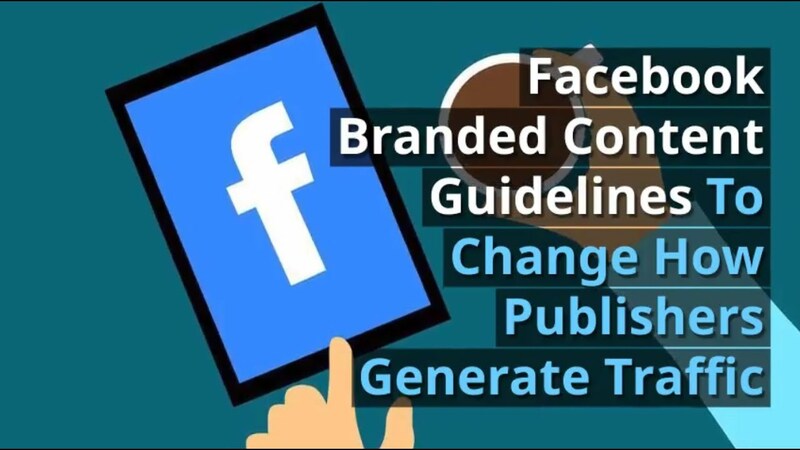 The new Branded Content guidelines don’t completely prohibit paying a Facebook page owner for sharing content; rather, the Facebook influencer must use the Branded Content Tool to tag 3rd party advertisers on both Instagram and Facebook. According to Gary Lipovetsky, CEO of Provdr.com, another publisher that build a huge business on cheap Facebook influencer traffic, 3rd party advertisers can easily satisfy Facebooks requirements by a paragraph length description or caption to each post. Lipovetsky also thinks it will bode well for publishers long-term, helping increase organic reach. 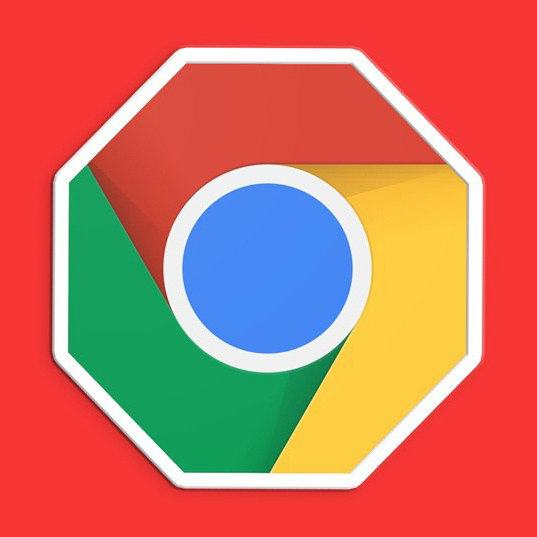 Last month, Google pushed an update to it’s Chrome browser that automatically blocks ad that are said to harm user experience. Ads that harm user experience are ads such as pop-ups, sound-on autoplay videos, and ads that stick to the viewable window regardless of scrolling. The standards used for blocking ads by Chrome have been agreed upon and set forth by the Coalition for Better Ads (CBA), whose board is made up of giants Facebook and Google, along with the IAB and other major advertisers. Many publishers feared this would result in loss revenue, but that doesn’t appear to be the case yet. Read on to see if your revenue is at risk and what you can do about Google Chrome’s ad block. Ad density higher than 30% on mobile is also prohibited. We’ve seen many clients with at least one of these types of ads within their header bidding or waterfall stack. Although we frequently see it, fortunately for most top-tier publishers these types of ads do not account for a significant amount of revenue. That said however, it is important that you understand how to comply with the CBA guidelines so as not to get banned. If a publisher is in violation, Google will get them a 30-day notice of violations, and a chance to rectify them before Chrome starts blocking their ads – and it will take multiple violations. The threshold for blocking is if 7.5% of page views have existing infringing ads for the first two months after Feb. 15th, and 5% for the following four months and 2.5% after that. For persistently bad sites, Google will block ads at the ad network level using EasyList, the same open source software used by AdBlock Plus. These are the rules set forth by the CBA and Google has promised to strictly adhere to them. According to Google, as of the date of implementation, only 1% of publishers were not compliant based on audit of more than 100,000 sites. Google also noted that 42% of sites that were in violation fixed their issues by Feb. 12. Google has made it clear that if a publisher does not comply, ALL ads will be blocked on that publishers site — including the plain vanilla display ads we’re so desensitized to seeing. That could significantly impair a publishers revenue stream given that Chrome has 62% of all mobile traffic and 59% of all desktop traffic. Fear not, as Google has also made it very clear that they will fair warning. If you’d like to test your site for any infractions, try Google’s Ad Experience Report. 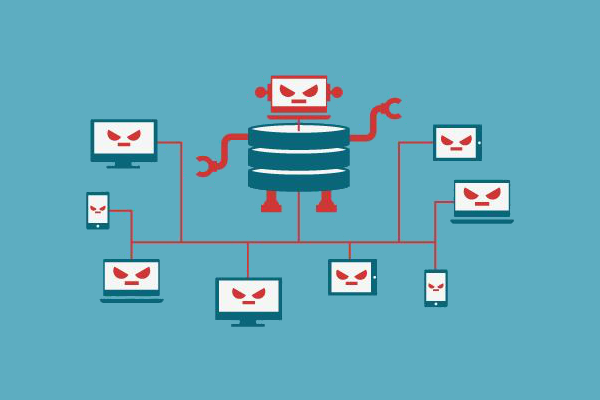 Ad tech company Adform recently released a deep analysis after uncovering a new fraud scheme dubbed “HyphBot.” HyphBot has scammed advertisers and pubs every single day since its launch. Thousands of fake domains and millions of fake URLs were created by fraudsters through a file known as sortedUnixWords.txt. Adform researchers believe the bot has been actively running since August, if not earlier. The suspicious domain name patterns were noticed by Adform after raking through illegitimate site traffic detected by ads.txt. Notably, two specific patterns showed up so frequently, prompting Adform to monitor HyphBot activity. The first pattern is a domain name followed by several non related words, i.e. forbes.com/red-throated_mid-atlantic. The second HyphBot pattern with a domain followed by random numbers and letters i.e. forbes.com/4qr56. By developing highly advanced filters through their platform, Adform can quantify the amount of requests from these unusual URL patterns and determine which premium publishers are being affected. They are continuing to investigate where and who this Bot was created by and how to shut it down. Adform has kept the details of their findings secret until now. This is so the fraudsters aren’t able to hack into Adform’s filters designed to detect and reverse what Hyphbot is doing. Many industry leaders – including ourselves – agree that making the digital advertising industry more transparent is necessary for the future of digital advertising. Adform took a step in the right direction by informing everyone of their findings so quickly. Adform hopes that by gathering this information and exposing this scam, a sense of urgency will buzz throughout the industry. People should be actively seeking the next steps to combat fraud as an industry. We recently discussed domain spoofing and the power moves JPMorgan made to combat ad fraud. Ads.txt was rolled out just a week prior, and many were taking a deeper look at what ads.txt could do to protect companies from scams. Adform is a supporter of ads.txt. By releasing this data on HyphBot, they hope more people will educate themselves on ads.txt and understand its capabilities. If major players such as eBay and Walmart follow Google’s lead and adopt ads.txt, many more companies will follow suit. It has to start somewhere. 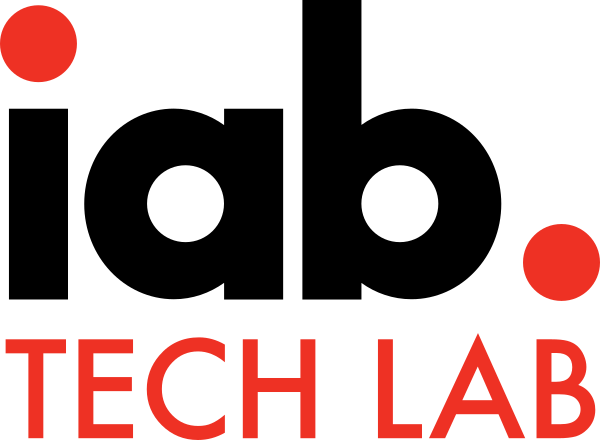 We hope that leaders do what they do best – step up and set the tone in an effort to make the digital advertising world stronger and more transparent. Today the Interactive Advertising Bureau is finally launching their anti-domain spoofing initiative, ads.txt. The Authorized Digital Sellers list, known as ads.txt, is an inventory verification system that assure advertisers they are purchasing real inventory from the claimed publisher. This initiative has been launched in response to domain-spoofing, where fraudsters list inventory belonging to top-tier publishers, stealing advertising dollars from those publishers. Ad-spoofing has become a huge problem in the digital media ecosystem for both advertisers and publishers. For advertisers, they end up purchasing fake inventory, and for publishers, they miss out on advertiser dollars because fraudsters syphoned money from ad budgets that should have been spent on inventory on their own site. Ad-spoofing is big in video ads because of the limited inventory for video and the higher CPMs. The extent of ad spoofing damage was reported by the Wall Street Journal last December, which is likely the single event that triggered the brainstorm that created ads.txt. Sounds cool, right? The Authorized Digital Sellers list has received both criticism and support since the blueprint came out. However, Google has thrown its weight behind ads.txt, by recently stating it will only allocate advertiser dollars to publishers that have implemented ads.txt. Supply side partners such as AppNexus, IndexExchange and Teads are also on board, and claim to have initiated verification technologies prior to ads.txt. As of now, 13% of the world’s top-tier publishers are signed on with the Authorized Digital Sellers list, but that number will likely go up if they want to receive ad dollars. The net effect of ads.txt, remains to be seen. Proponents claim publisher revenues should go up because fraudsters will no longer be able to syphon ad budget money from them. Opponents say it’s not enough, and that the fraudsters will find a way around it. We will be watching it closely and advise publishers to employ ads.txt, because, why not? The data is as objective as possible. However when you look at data over time, you see trends. We draw analyses and commentary in our piece with Digiday. Recent stories about the financial health of digital advertising companies have swept the industry. Recall the Defy Media bankruptcy and the blow-up of Videology. Defy Media lost their line of credit, and Videology was foreclosed on by their lenders. GroupM, as massive agency, just laid off 3,500 people. In the general economy, the Federal Reserve has been increasing interest rates. This will to a credit tightening, which basically means money is harder to come by. What does this mean for the industry? Well, the Fed’s moves, coupled with the seemingly widespread poor investments / management in ad-tech, will make money harder to come by for digital media companies. The signs of credit tightening are evident. Take the Defy Media bankruptcy, mainly a result of their bank pulling their line (i.e tightening credit). And Videology, which was foreclosed on by their lender, for $80 million. OAREX has seen this at a much smaller scale in the SME segment of the market (businesses doing $50k-2M/mo. in ad revenue). We’ve recently funded deals that were once financed by banks or pseudo banks. These funders are major FDIC insured institutions, or funded by FDIC insured institutions. They take direct credit in their customers (something we do not do). Due to recent events and an overall credit tightening, they were not willing to continue in the deals and fund their customers. They pulled their lines of credit from healthy, growing digital media companies, or they capped their credit limit and stifled their growth. OAREX does not care about your credit health, or if you operate at a loss. Since we buy your invoices, we only care about your customers credit. Therefore as credit tightens, we can continue to fund digital media companies — especially after your once trusted partner pulls the rug out from under you. And if you’re monetizing with partners across the ecosystem, it’s important to check their credit and payment history data. We have a tool to help you do that.